It’s the end of the year once more and what better way to bid 2008 goodbye than shop, shop and shop even more! 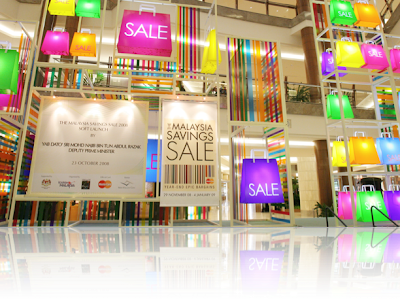 Previously known as the Malaysia Year-End Sale, our all new Malaysia Savings Sale 2008 or MSS brings you 37 days of fantabulous retail therapy, great dining experience and fun entertainment from 29 November 2008 to 4 January 2009. Posh shopping malls, departmental stores and vibrant street marts, whatever your pleasure- you can be sure of filling up those shopping bags to the brim. So get ready to shop your way through a grand year-end holiday season- all on us! HAPPY SHOPPING!